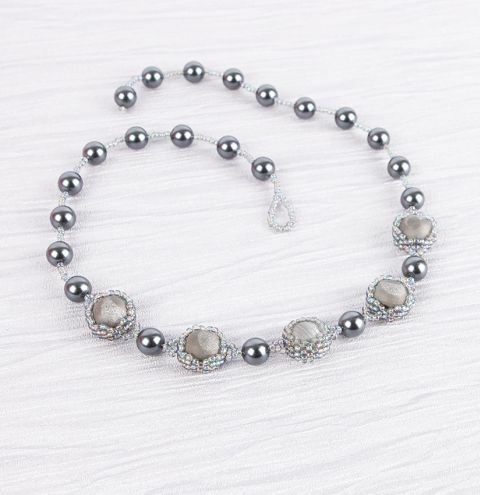 Create a dazzling beaded necklace with druzy agate feature beads & add some glamour & shine with delicate shell pearls. TOP TIP - If you struggle to fit your druzy bead into your seed bead ring, try slightly loosening your tension until it fits. Then tighten again to secure the bead in place. Make sure to place your bead into your work as you go to check that it will fit correctly, you can then add extra beads at the earliest point if you need to.